Photovoltaic solar energy is a renewable electricity generation resource with very low environmental impact. A photovoltaic installation can be implemented using a variety of brands and equipment models. This becomes a challenge in terms of data collection, storage and analysis for its effective correlation and further generation of information. 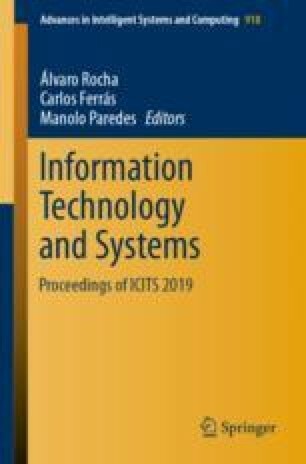 This article describes a project which objectives are as follows to contribute to data management in the field of energy resources based on photovoltaic technologies from different manufacturers through a technological infrastructure for Data Management. The approach utilized include three different stages: (1) analysis of project-oriented technologies in the field of energy resources and sustainability, (2) design and development of an infrastructure for data management of photovoltaic panels from different manufacturers, and (3) data collection from the different suppliers that were installed. Two data collection proposals were designed based on the energy supplying companies (Enphase Energy and SMA Solar Technology) over a one-year term with around two million records. Data is managed through the cloud infrastructure offered by Amazon and a visualization system developed through open source software.